Is it a bird? Is it a plane? Nope, it’s Canadian Prime Minister Justin Trudeau, dressed up as Clark Kent for Halloween. 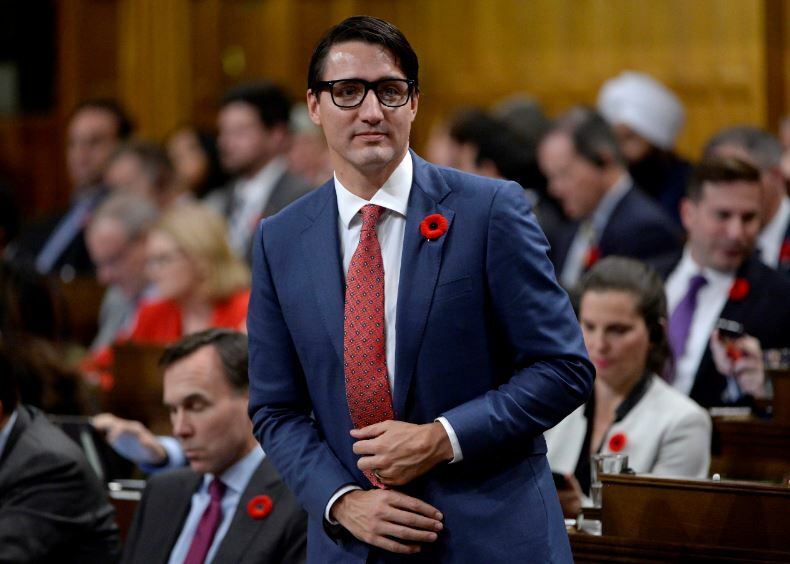 The PM dressed up as Kent and alter-ego Superman on his way to question period in Canadian parliament yesterday in the trademark blue suit and rimmed glasses with slicked back hair. But below the suit was Superman’s costume ready to be revealed to the waiting reporters and staff. As Trudeau revealed his costume with Superman’s trademark logo emblazoned on the front, he shrugged, grinned and said ‘you know, gotta do it’. Later on, the father-of-three took to the streets and chaperoned his kids while they went trick-or-treating at Government House, as seen on CityNews Toronto. The internet reacted predictably to the images, as they do with any piece of Trudeau news, and went into meltdown. The response wasn’t unanimously positive, however, with many people saying the costume was a little bit too on the nose. Justin Trudeau ,reveals Superman costume, can lie with a straight face, can destroy an economy in a single term, he should be Superfraud ! Cynics of the world will clearly see the stunt for what it is: PR. Saying that, it has worked absolutely beautifully for the Canadian PM. Over the border though, the political elite of the US seems to be less adept at the whole social media PR world, judging by the failure of Donald Trump Jr’s attempt to belittle socialism in a scarily bad tweet. Trump Jr posted to Twitter joking about stealing his young daughter’s Halloween trick-or-treat haul to teach her about socialism. The good people on Twitter were quick to point out the son of the POTUS’s mistake, pointing out his daughter got the sweets for free, meaning the fact she received the redistributed wealth of candy in the first place was an act of socialism. She was given that candy for free. Halloween is already socialism, you malignant potato. There’s not much more to be said there, really. Mic drop.